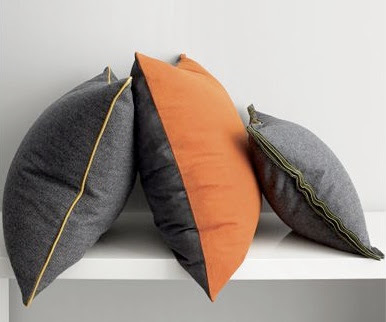 CB2 wool/poly pillows: originally $40, down to $25 on sale. Awesome friend with an early-twentieth century sewing machine: free, and profusely thanked. Money saved, even from sale price: $79.66. Things purchased with the $79.66: cocktails at The Violet Hour, falafel at Sultan's Market, birthday present for mom.